These are all normal concerns. If these are your concerns, follow the steps on this page to make sure you get the right baby room furniture for you. There are loads of baby room furniture options out there but you really don't need them all. Working out which furniture items are necessities and which are nice-to-haves is the first step in your decision making process. Somewhere to change, dress and mess with baby. The baby changing table is an important item of baby nursery furniture and there are many different types and styles to choose from. 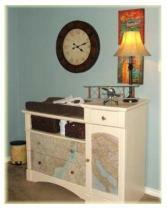 These include the Crib 'n changer combo and the Dresser-changing table combo. Somewhere for all the used baby outfits. 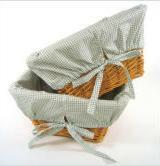 The nursery hamper is a small, and often overlooked, item of nursery gear essential for keeping all those grubby little outfits under control. Somewhere to keep feeding supplies and lamp. A nightstand is useful to have next to you while you are feeding and rocking baby. You can stand your baby nursery lamp here, along with a handy box of tissues for wiping up spills. Somewhere to sit and feed baby. The addition of a nursery rocker or glider chair to your baby nursery is well worth the investment. Money cannot buy all the precious hours you will spend here, rocking your little one to sleep. To read more detailed information about nursery rocking chairs, click here. To read more detailed information about nursery gliders, click here. Go to the nursery storage plan page to find out how to accommodate all of your baby nursery goodies in your baby nursery with only the above five essential items of baby room furniture. 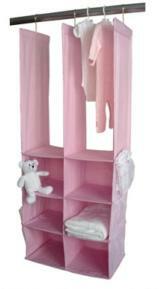 The next step is to find the above items of baby room furniture in a color and style that you like. Consider a convertible baby crib that will grow with your baby. Think about buying a dresser with a changing tray attachment. 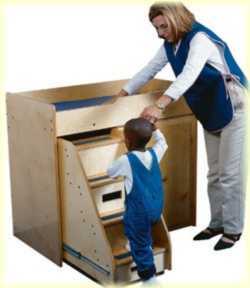 This can be removed when you no longer need it, leaving you with a functional dresser for your growing toddler's room. A children's table and chair set instead of a nightstand. 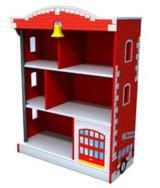 A bookcase rather than an armoire. 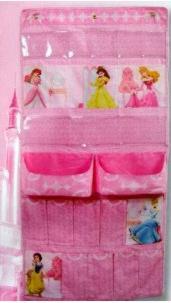 An over the door organizer, with low pockets, instead of a shelving arrangement high on the wall. There are plenty of ways to make a room potentially interesting for a toddler. Believe me they make it pretty easy! Decide what color and style of baby room furniture you prefer. Are you thinking of decorating a baby nursery in a cottage look or do you prefer the clean lines of a modern nursery? Have you thought about the benefits of an eco friendly, green baby nursery? Find out more about baby room furniture colors here. If you are short on space in your baby nursery, consider using space saving furniture options such as folding rocking chairs and mini cribs. If your budget is giving you nightmares, there are lots of ways to save. Check out these great ideas for saving money with discount baby cribs and discount baby furniture before you start shopping. Drawing a floor plan will help you to identify any empty spaces in your baby room. 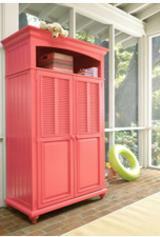 You may want to add extra baby room furniture items for extra functionality and storage. See step 4. If you have floor space and budget left, decide which other furniture items you would like to include in your baby nursery. Add your extra baby room furniture items to your floor plan. Now you know what baby room furniture you want get ready for the shopping spree you've been waiting for.